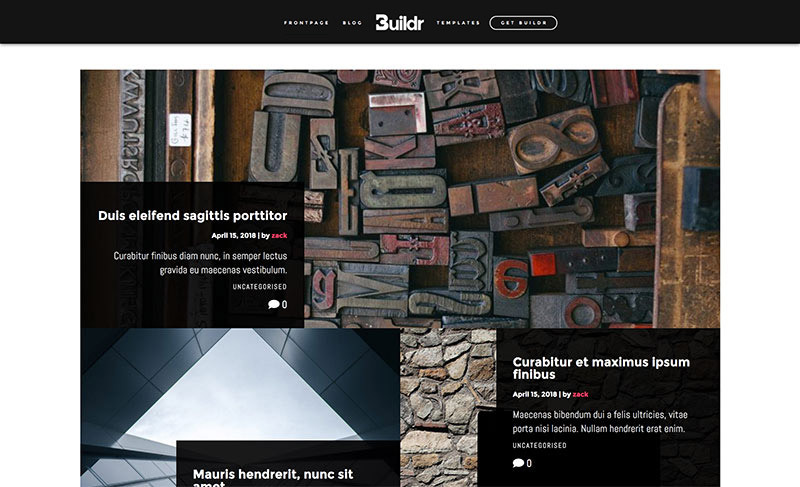 Buildr comes with 3 main blog templates that you can use by selecting in the Theme Customizer. You can pick whichever template suits your needs. Additionally, any of these templates show the post title, category, excerpt, featured image, date, number of comments and author. You can easily toggle which of these options show up on the blog itself from the theme customizer. 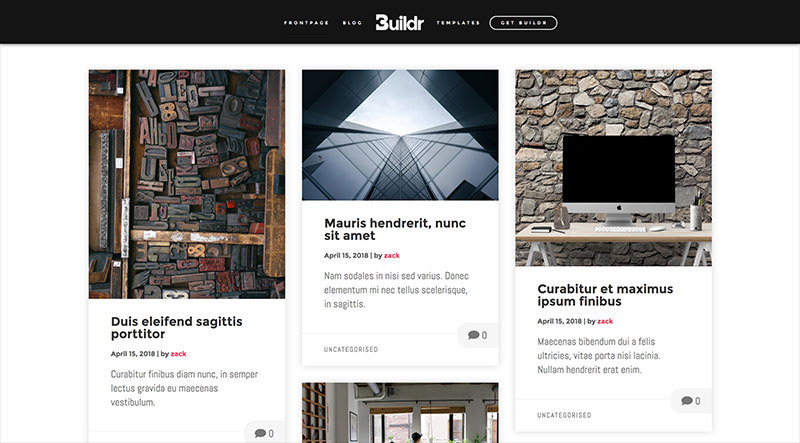 This is the default blog template, and it is a standard, stacked layout which is ideal when you are looking for a standard type of blog, useful for any kind of business, professional or personal blog. The layout is easy and un-complicated, with a focus on readability. If you’re looking for a bit more style in your blog, Masonry Cards is a great choice. 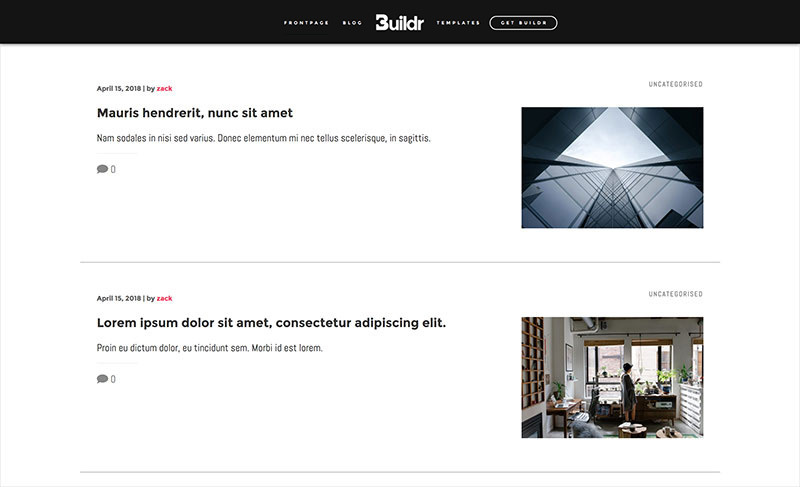 This blog template presents your posts in a responsive grid layout, which auto-adjusts the size of each blog card based on the image you’re using. If you have uploaded images that vary in size, Masonry is a good choice, because the layout will always calculate the best way to display each card, and will scale the cards based on their size and the device it’s being viewed from. If you’re looking for a creative and unique style of blog, that puts a lot of focus on imagery, Mosaic Grid is a great option. This blog template has more style and character and is ideal for photographers, musicians, artists or any business that is focused on a unique and creative approach. While the screenshots above do not display any header, or any widgets, the blog template allows you to toggle on the Parallax Header that is included in the theme. 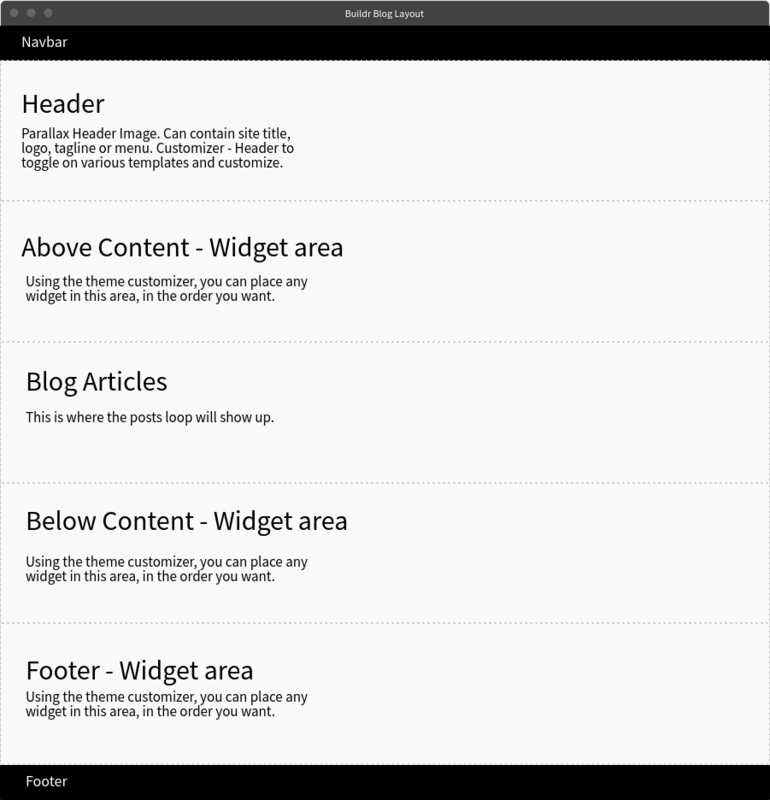 Additionally, you can add any widgets you want to the Blog-specific widget areas from the theme customizer.